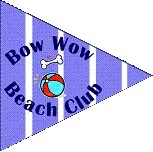 Beat the heat this summer at our indoor, climate-controlled, Bow Wow Beach Club! Choose from Fun & Fitness sessions or our brand new Manners sessions with our experienced and personable trainers! This month’s Manners classes are focussing on barking.